We The Giants is a 2D platformer which took Peter Groeneweg five days to put together, though most players will probably spend less than ten minutes to reach the end of the game. It is recommended that you stick around for the credits, as anyone who completes the short adventure will receive a small (if unsubstantial) reward for their efforts. It won’t start for me; just sits there at the orange loading screen. The bar doesn’t move or anything. Maybe Peter’s server is getting hammered or something? This game rocked my socks straight into orbit and then blasted them away with a raygun of cool. I download .swf file directly. It works. I second the glowing recommendation. Unfortunately, I can’t seem to.. perform the ritual. I couldn’t press the button. In the Internet Explorer it didn’t load up at all, as James described, in Firefox it worked up until that point. I don’t understand why this happens in IE but try refreshing the page, that seemed to do the trick for me. I also fixed some bugs with sacrificing so it should work now. Clever, bizarre, and rather glitchy. Am i the only one whos not impressed, though? my last words are: BUG and TEST. Hmmm, so I played 2 or 3 levels, then reached one where you needed to go up. I went right and up as much as possible, then jumped and glitched through the ceiling and saw the ending credits. Never sacrificed or anything. (BTW it failed really hard in chrome too). I’m also very confused by this game… is there a sacrifice button? The only way I know how to beat it is to glitch through the walls. I saw this linked over at Auntie Pixelante’s site and this looks really cool. Unfortunately for me it’s stuck at the orange loading screen. Excellent game ! Can’t wait to see the giants reach the stars. Though, the.. third level looked different when I played it yesterday. Judging from the.. pages you get, there are several instances or so? I think this is the first art game I’ve played that I actually felt was worth my time. Shame all three accounts overloaded so fast! Inevitable, I suppose. Didn’t get any credit screen. Is this another one of those “art” games that “plays” different for different people? You do get it that this is basically to see what kind of “wisdom” people will give during that sacrifice ritual? The reason why it looks different each time is that it saves the positions of other players that sacrificed themselves. Also, your “wisdom” is shared over twitter, which is actually kind of funny to read. solver: If you referred to me, I ment that the tower was actually larger last time I played it. But, I guess there are several possibilities. 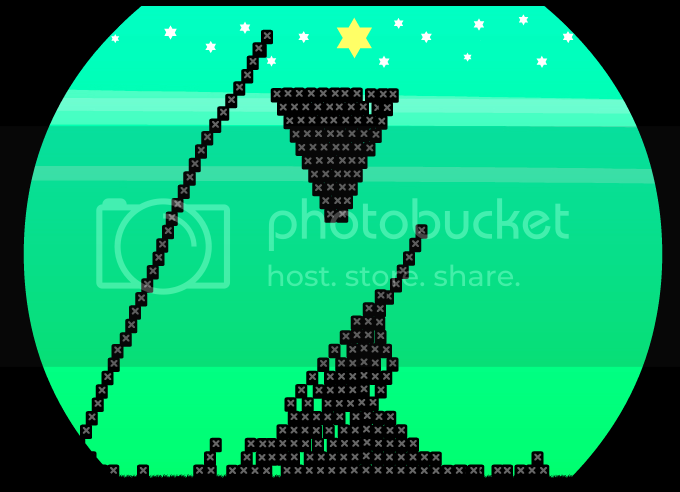 Maybe the level starts over once the star is reached, maybe it’s reset at certain intervals, or maybe something else. On that note, what actually happens when someone touches the star? The third screen is quite full now. Can’t advance much, and can’t “sacrifice” either. Is the game “broken” now? I think this is a cooperative game that has had far too much cooperation. It needs to be reset or something. Actually, I suspect that not enough people used the ritual of “clearvoyance” before sacrificing. Hmm yes sounds great, but I can’t get anywhere on the third screen either – can’t jump high enough! I tried to open the link to the game from Google reader and was informed that the link was to a malicious website that was sending harmful whatsis to various domains. This is either a mistake that you guys (at The Gifted Introvert) should look into fixing to keep google searchers from being scared away, or something legit that you should look into to see if you’ve been hacked. Thanks for the heads up Rich. It should work fine now. I guess you can only play the game once? It’s probably to keep the Twitter accounts overflowing with too much spam. After that, it just shows you the third screen and how many bodies are there. @MisterX: Touching the star just gives you some sort of congratulations message (I forget exactly what it said) and goes to the credits. It doesn’t reset the third screen, as far as I can tell. I don’t get it, I can’t sacrifice on the third level? Am I suppossed to type in a specific thing? It wont let me sacrifice. The game appears to be broken. Even if I could get the buggy thing to work like it’s supposed to, all it takes is a couple of griefers to screw up the whole process. Also, it takes way too long to skip the tutorial and try again. Now everyone should be able to reach the star.